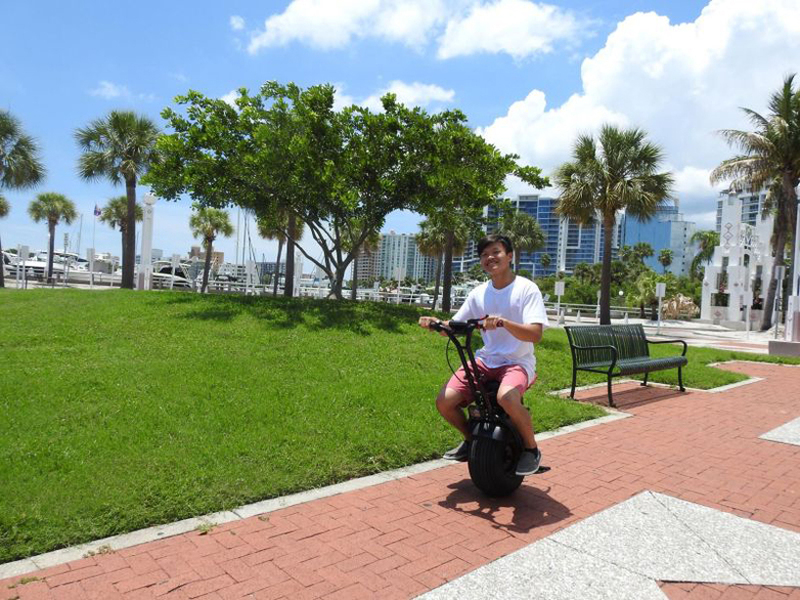 meet the uno bolt, the world’s first electric unicycle with gyro force technology. its built-in stabilizing sensors — same as the ones found in hoverboards — make it the quickest responding gyroscope to be put into a one-wheel machine. 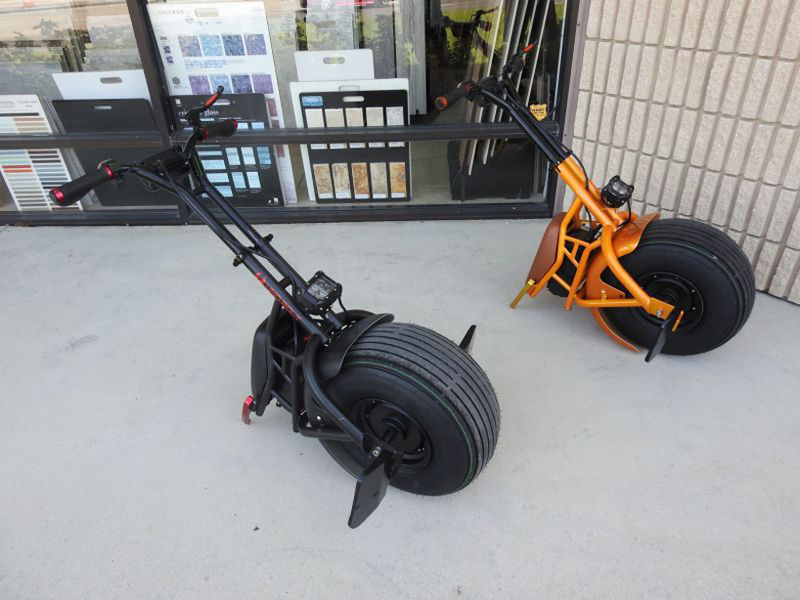 this results in an easy and smooth driving experience where the tilt is controlled by the rider’s body; you lean forward to accelerate, backwards to slow, brake, and reverse, and left or right to turn. currently seeking funding on kickstarter, the uno bolt is powered by a 1000W motor capable of reaching a top speed of 35 km/h (22 mph). 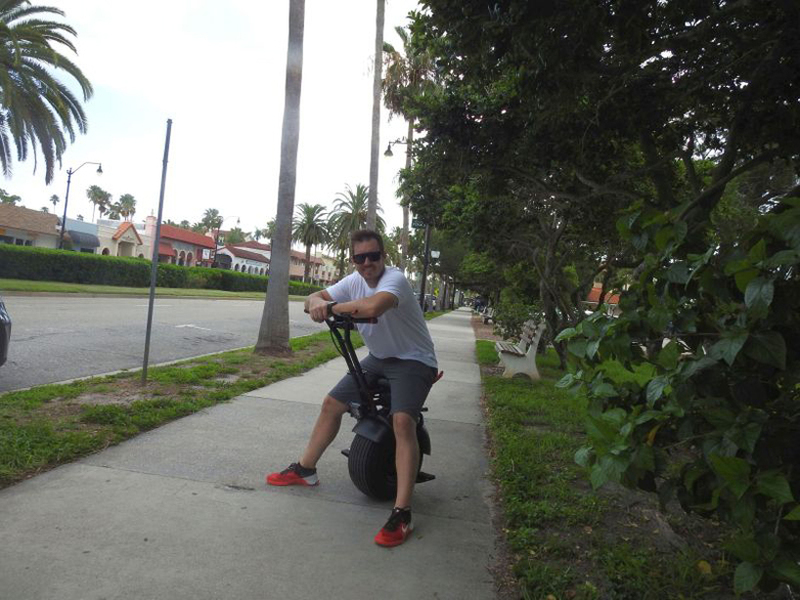 it weighs 20 kilograms (45 pounds) and has the ability to incline to a maximum of 45 degrees. 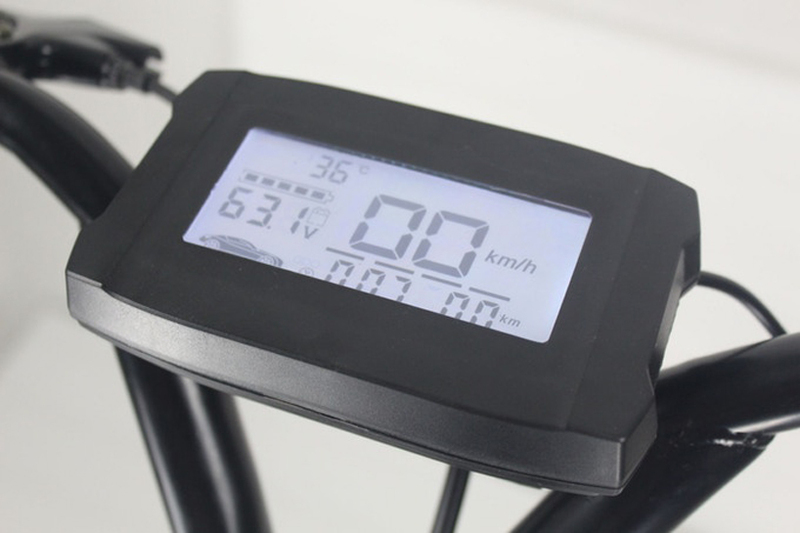 it is equipped with a 4.4 Ah lithium battery that can be recharged in just 45 minutes and it offers a range of up to 40 kilometers (25 miles). 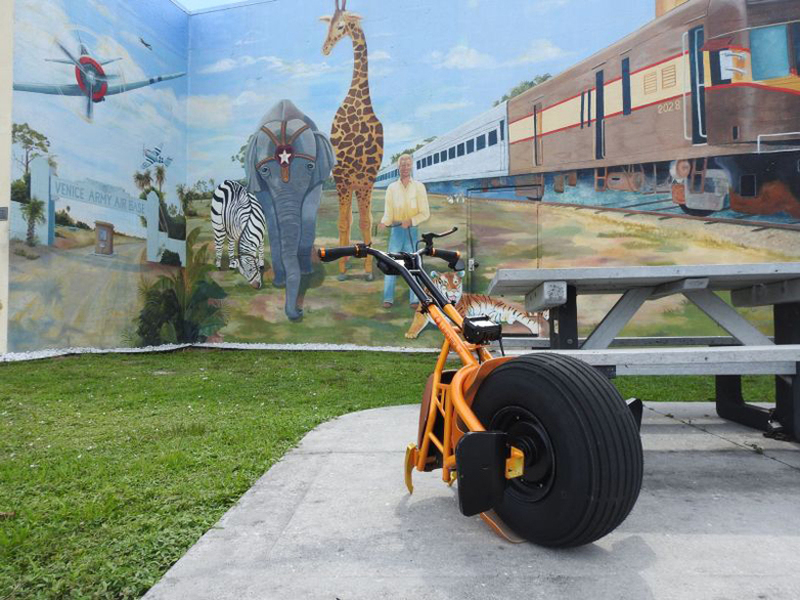 all this combined with its chubby tire that promises to climb even a rocky hill, this unicycle seems promising. 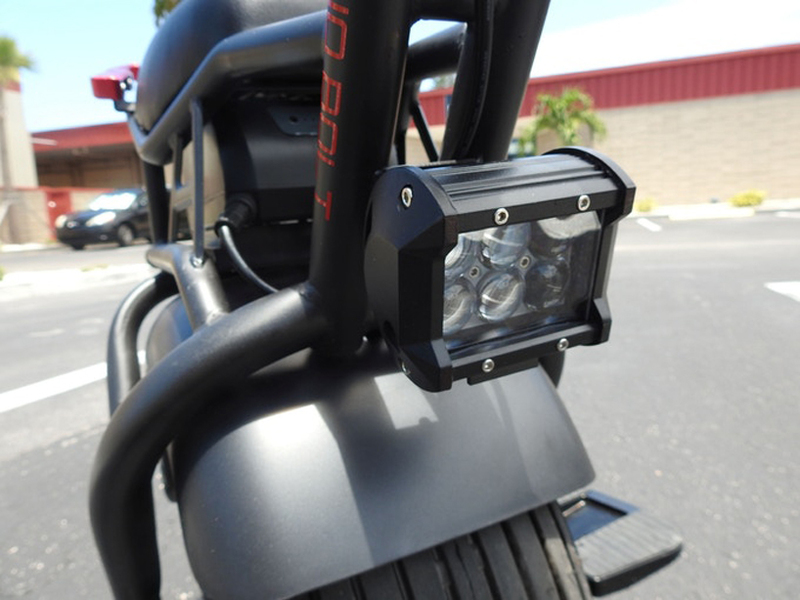 other technology on the uno bolt includes LED lights that provide good visibility during low-light riding, an integrated LED display, a body constructed out of military-grade alloy tubular steel, a foldable rubber-gripped foot rest, a built-in electronic horn, a high ILD rated seat that promises a comfortable ride, and an adjustable rearview mirror. last but not least, it has an integrated parking stand, meaning that you don’t need to find a wall to recline it once you finish using it. The posture looks odd… it’s a little jerky making a turn…. 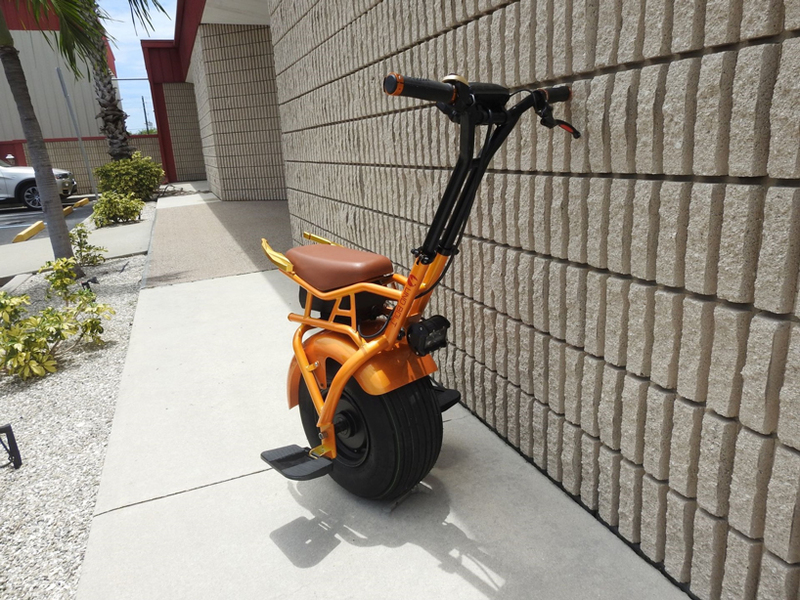 But, I’m convinced this may be the start of a change in future of the scooter. One major drawback, they likely are not permitted on sidewalks in many areas and are single passenger – at this point. Still. I would think that this would be allowed anywhere that a bicycle is allowed. So if bicycles are not allowed on sidewalks, then the Uno Bolt would not. 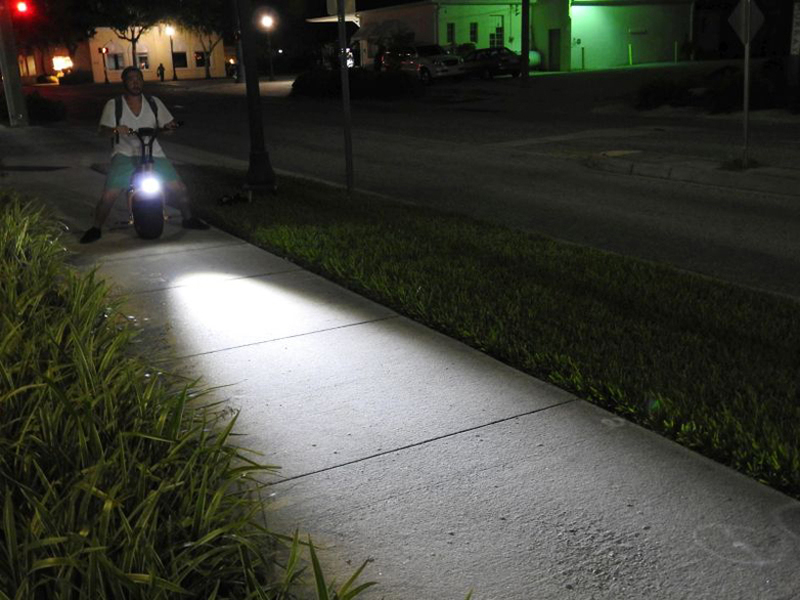 Where bicycles are not allowed on sidewalks, then they are allowed on the street, as would the Uno Bolt. Each area would be different. 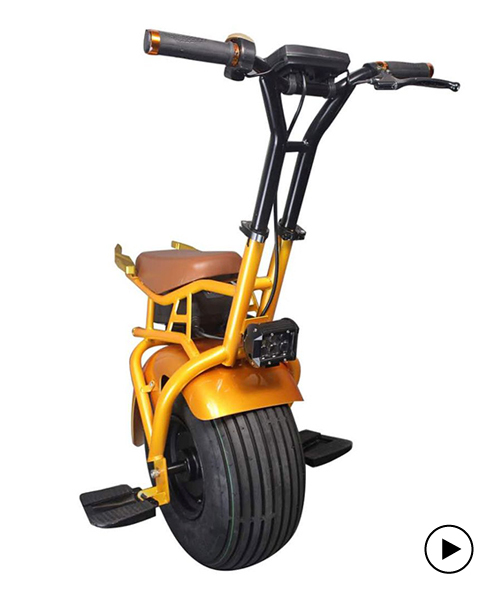 Damn it I hate it when they claim something that is not true they are not the first people that use gyro technology we’ve been riding electric unicycles for many years now! These are really cool. Are they available to purchase yet? And how much? I like it.